A few days ago in a marketing group on Facebook, someone complained about the lightboxes (or popups) many blogs use to remind people who read their articles to sign up for their newsletter. No, she was not talking about how to make the lightbox and newsletter signup more successful. She was simply angry that the blog owner was annoying her by having a lightbox on the blog at all and that to read the article she needed to click on the lightbox to close it. And I think that is very inappropriate. We are getting all this information on blogs for free. If the information is not worth anything, why are we reading it? And if the information is worth something, is it not worth tolerating a little popup reminding me of something the blog owner wants to tell me? Especially since these lightboxes are easily ignored or clicked shut, and I can read on. Of course, there are blogs with bad or not good enough content. But these blogs are not going to see me visit again anyway. If I want the content, is it too much to ask to accept an additional message in front of me? Many people seem to forget how much they are getting for free – and how much this free content is worth. I actually have never bought a book about social media or content marketing and I never paid a consultant to explain it to me either. 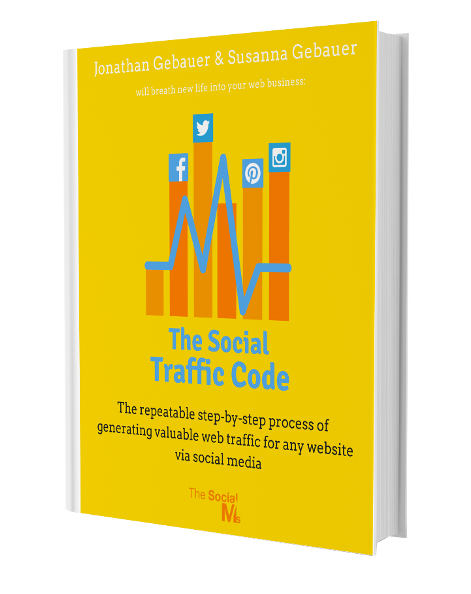 All I know about social media comes from free sources like blogs and ebooks, talking to the experts – and trying it out for myself. That is how much great information is to be had for free, and many of that comes from bloggers. Should I complain that it is not more? Or that it comes at the price of a little annoyance once in a while? With all the information we are getting for free via the internet, some people seem to forget that someone spends a lot of time and effort creating this information. And then these people complain that the “for free” might come with some form of price – even if the price is only a simple Lightbox you can easily ignore. And instead of being happy about the amount of information they get for free, they complain that it is not more. Wait! Should we not be a little grateful for how much we get for free instead? The whole blogging, social media and audience building thing is a give and take. Most people are not just doing it for fun or out of the urge to advance other peoples’ businesses. Truth be told, these people (including me) are in business, too. Should we not be a little grateful for how much we get for free? So, why should someone, who offers blog posts (or whitepapers, email courses, case studies) for free not be allowed to get something out of it for himself? And why if I already give so much for free, are there some people who always think it needs to be more? And they not only think it, they actually get angry about it. If we get something for free, is it appropriate to complain that it is not enough? I think not! Of course, a blog that annoys you has to accept if you say, it annoys you too much, and you won’t come back. It is a simple calculation: If the content the blog posts is good enough, then the audience is going to accept more annoying things like Lightboxes and sales messages – or ideally they do not even find this Lightbox annoying because they wanted to sign up for the newsletter anyway. But with so much being offered for free (or relatively cheap) via the internet and social media, I get the impression that people lose the connection to reality and proportionality more and more. Instead of just saying thank you, they complain: It is long, short, green, red, or it is not enough. But in the end, it is up to you: If you do not like what you get for free, simply don’t take it. Feel free to buy a book instead. It is not only the Lightbox that people complain about when all they want is to get something for free. I have recently received an angry mail, attacking me, after offering a 30-minute call (for free!). The reason was that I was not willing to agree to a several hour long call instead (for free of course!) about how I could help someone else build their business (for free!). A business I was not even interested in in the first place. Really?! The better the content or information we have to offer, the more we can expect in return. But it works the other way around, too. The more we get out of the information we provide for free, the more we are willing to invest in the information we give you. 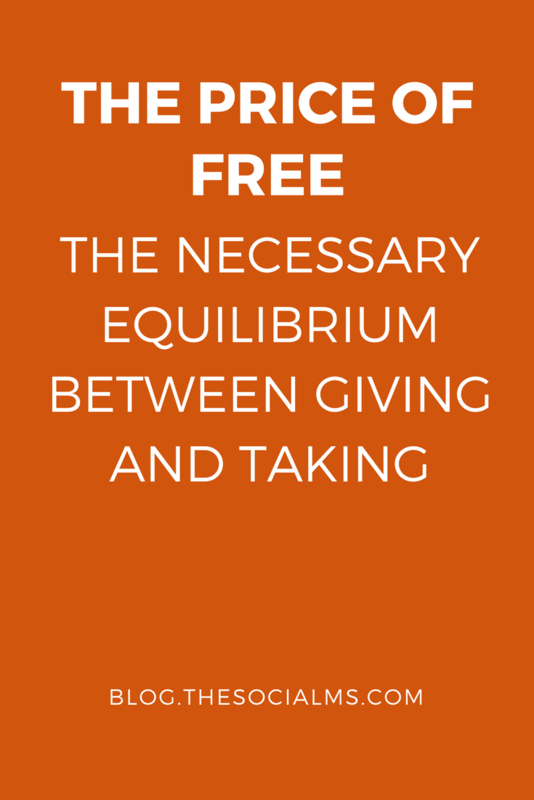 If you think that is not fair and want to turn it into a one-way street where one side only gives and the other gets everything – the equation is going off balance, and many people will cease to offer you things for free. That cannot be your goal. 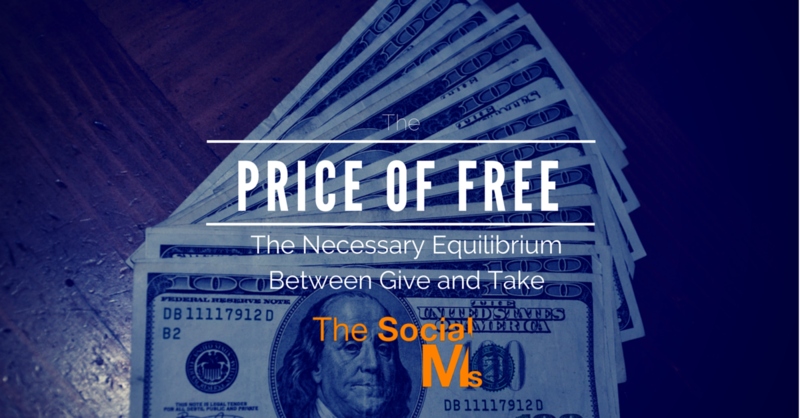 Even if no price is set for the “for-free” information – there is one. Not necessarily in $$$. But in return. And that is ok. It is like in every business relationship. If it gets out of balance, the relationship is going to end. Either you unsubscribe, or never come back to the blog – or the blogger ceases to offer information. In the end, it is a business deal you make. You need to decide for yourself how much you are willing to “pay” and if the asked “price” is too high. But complaining that “free” is already too much is utterly disrespectful for the content you obviously want to have and the person that spent time and effort to give it to you. Every business relationship is going to end if it gets out of balance. I used the term blogger in this article as a synonym for people offering information via the internet for free. In reality, this is in no way limited to bloggers. There are millions of people who provide excellent information for free. Liked this article? Please pin it!